For decades, Southeast Alaska fishermen have followed the evolution of recovery efforts aimed at Columbia and Snake River salmon. Many of the Chinook harvested in our region originate in the Columbia Basin, and each year our salmon fleets are strictly regulated to conserve them. Therefore, the success or failure of various salmon recovery initiatives has big implications for Alaska businesses and communities. Last week, a federal judge in Portland, Ore., shot down for the third time a NOAA Fisheries' salmon recovery plan for hydropower operations in the Columbia Basin. Judge Redden called the strategy 'arbitrary and capricious,' because NOAA failed to identify specific and beneficial mitigation measures for the last half of the 10-year plan. In his decision, Redden refers to NOAA's history of regulating fish passage at the dams as revealing a ". . .lack of, or at best, marginal compliance with the procedural and substantive requirements of the ESA (Endangered Species Act)." The judge has ordered NOAA to produce a new plan and evaluate more aggressive options, including dam removal. It is inconceivable that NOAA would conclude that the 14 dams, which kill up to 95 percent of the Columbia Basin salmon each year, do not jeopardize the existence of any species, even in the absence of solid mitigation measures. Fortunately, Judge Redden's decision to invalidate the NOAA plan represents an opportunity for our political leaders to hit the reset button on a long-standing issue with important coast-wide economic ramifications. In response to the ruling, the Alaska Trollers Association and over one hundred Alaskan fishermen have joined with 1,000 West Coast fishing businesses to call for improved leadership and a fresh approach to restoring healthy, harvestable salmon populations. Signers of the "Salmon and Jobs" letter are calling on the Obama Administration to establish a stakeholder process made up of fishermen, farmers, energy users, tribes and others to put their heads together on in-river fish passage and restoration. The federal agencies in charge of ESA recovery planning have repeatedly failed to craft an effective, science-based program to restore salmon runs and help recapture lost fishing jobs. Those of us with a stake in what happens in the Columbia Basin want an opportunity to help craft a lasting solution. 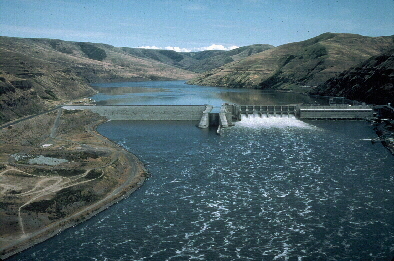 Central to the debate are four dams in the lower Snake River. Removal of these dams has been identified by hundreds of scientists as the most effective -- and perhaps only -- way to recover wild salmon in the Columbia River Basin. In past years, NOAA's own documents revealed that truth. Opening up the Snake River would allow salmon to once again reach more than 5,000 miles of pristine ancestral spawning habitat in the upper watershed, and also improve water quality and flows throughout the Basin. The issue of dam removal has been consistently side-stepped and the political challenge deemed too hard, so the costs and benefits have never been seriously weighed. Continuing to allow the federal government to implement ineffective salmon recovery plans and punish fishermen is unacceptable to coastal communities, and is costing the taxpayers dearly. Dam removal must be on the table. Some from the Lower 48 suggest that Alaska should stay out of this fight, but our members and others who rely on salmon from the Pacific Northwest strongly disagree. Wild salmon don't recognize political borders. In addition to their intrinsic value, these fish create thousands of jobs and provide valuable recreation from California to Alaska. All told, five states and two countries have a vested interest in their recovery. We urge Alaska's congressional delegation to work with their Northwest colleagues and the Obama Administration and usher in a new approach. A meaningful plan is needed to protect and restore Columbia Basin salmon and the jobs and good food that they provide our nation. Stakeholder negotiations have produced successful solutions elsewhere in salmon country, and it's time to give it a go on the Columbia. Fishermen, including those of us in Alaska, deserve a place at the table. Dale Kelley, Executive Director of the Alaska Trollers Association, whose office is located in Juneau, Alaska. The "Salmon and Jobs" letter can be viewed at www.pcffa.org.